Hey Nancy I haven't taken any pics for a while untill yesterday when I took this one from my kitchen window of the sunset in northern Alberta. 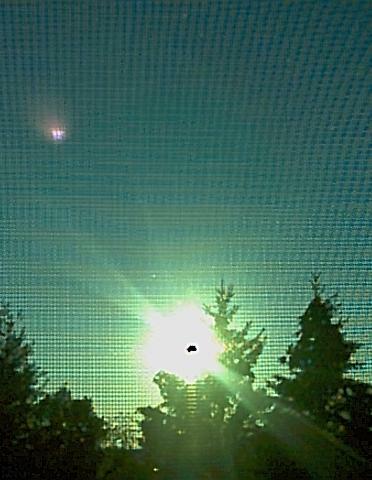 I took this pic through my window screen. I thought that if these were lens flares it would show up on the inside of the screen as you can see the spot is on the out side of the window looking the same as my other shots I took this summer. I am totaly convinced that something is headed our way.